I got a few requests to film a ‘Get Ready Me’ video, and since your wish is my command, I did it! As the title suggests, this is my quick morning make-up routine that I do before I go to Uni. I’m usually very tired, sleepy and in a hurry in the mornings, so the routine is very simple. I’ll try to do some proper and more interesting make-up tutorials in the future, but I’m not sure when. It is very difficult for me to get the lighting right if it is not sunny outside. My dad ordered some studio lights for me back in January at some photography shop, but they are still not here and I highly doubt that they ever will be at this point. Do you maybe know where I could get them in Slovenia? Are there any other good photography shops out there? I think this look is not quick and is too much for school.The result looks good but in my opinion you don't need so many products for coverage. Loved the video and watching you do it! great post! I love seeing everyone's daily routines! Tudi jaz sem prej vedno čopiče, zdele pa že en mesec konstantno sponge. Res je fajna! That foundation looks gorgeous on you, I only have the Healthy Mix Serum. 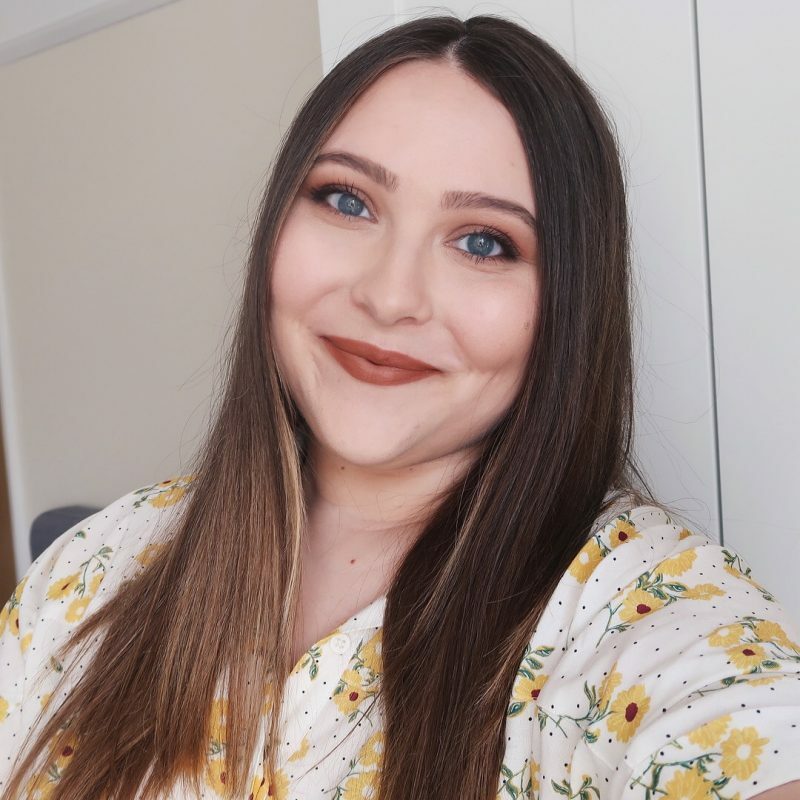 I have yet to try applying foundation with a sponge, it just seems like too much effort :p I use the Maybelline bronze cream eyeshadow fairly regularly as well – love it. Looks gorgeous on your lids! Thank you! I find it way quicker. It doesn't need so much buffing, that's why probably. Super, bi mogla malo priti k tebi na inštrukcije, kako hitro nanesti make up 🙂 meni tak rezultat tako hitro ne bi uspel. Jaz sem si pa pred kratkim kupila Healthy mix Serum. Ali mogoče veš, kakšna je razlika med serumom in tekočo podlago? Praksa. 😀 Tudi jaz sem bila na začetku ZELO počasna, zdaj gre pa vsakič hitreje.Serum nisem še nikoli sprobala, tako da ti ne bi znala točno povedati. Slišala sem, da naj bi bil serum bolj tak gelast in naj bi bil manj opazen na koži, ker je manj prikriven ali nekaj takega. Ampak res ne vem, če je to res, ker nisem še nikoli nobenega seruma imela.Glede tegale Bourjois sem pa slišala, da naj bi bil manj primeren za suho kožo, ker je manj oljnat/vlažilen, tako da za mene avtomatsko odpade, saj imam na določenih mestih zelo suho kožo.